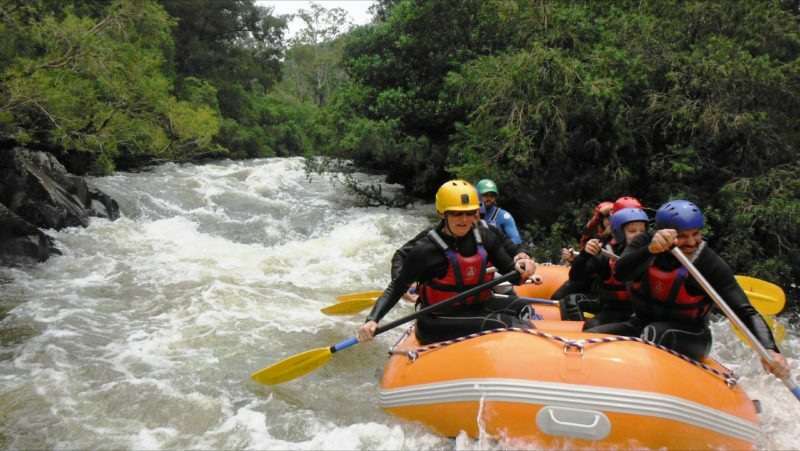 These white water tours include an experienced guide, transport, boat, paddle, spray deck, helmet and buoyancy vest. Choose from beginner, intermediate and advanced. Half day guided tours depart 9am and 12.30pm daily. You’ll spend about two hours paddling on the water. Full day guided tours depart 9am daily. You’ll spend about four hours paddling on the water with a riverside lunch included. 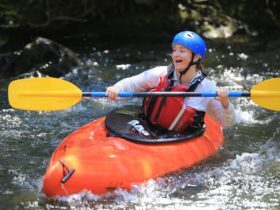 These self-guided paddling trips by canoe or kayak on the Barrington River do not include a river guide, you set your own course and paddle at your own pace. You leave your vehicle at the office and they take you to the river drop-off point, then they come and collect you later at the the pick-up point further downstream. So you get to paddle the river at your own pace and without the hassles of arranging your own transport. Self-guided packages include transport to and from the river, boat, paddle, spray deck, helmet and buoyancy vest. 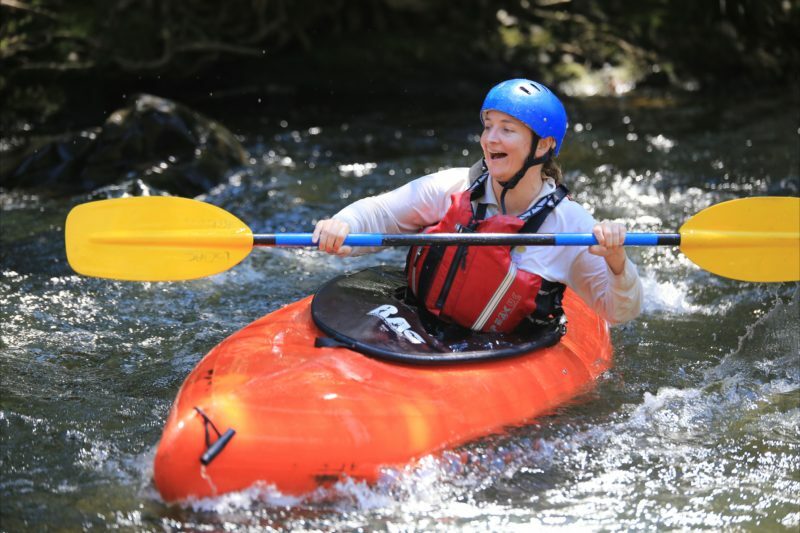 Choose from self-guided beginner, self-guided intermediate and self-guided advanced paddling. Half day self-guided trips depart 9am and 11am daily. You’ll spend about two hours paddling on the water. Full day self-guided trips depart 9am daily. You’ll spend about four hours paddling on the water. Bring your own riverside lunch. These guided mountain bike tours take you across private property for downhill journeys through spectacular unspoilt forests and gorges. Options include the stunning beauty of World Heritage Barrington Tops, scenic Copeland Tops nearby and Kiwarrak State Forest closer to the Pacific coast at Taree. 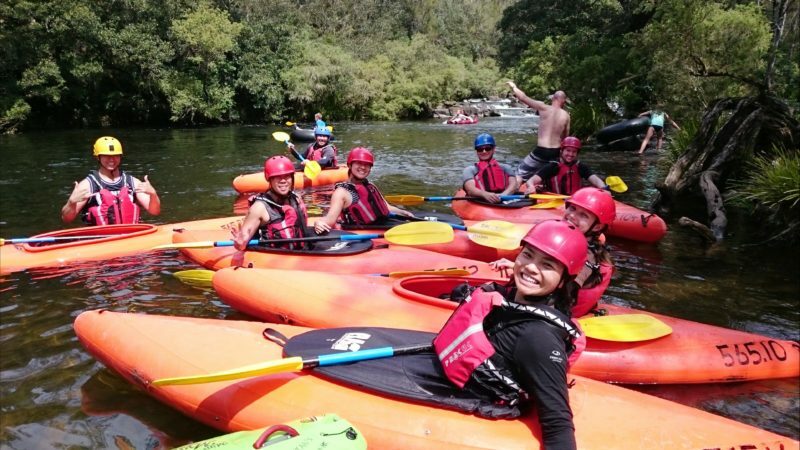 Choose from half day guided skils training, full day guided tours or a two day action packed biking and paddle tour. Mountain bike tours include an experienced guide, transport, helmet and Kona mountain bike with dual suspension and disc brakes. Minimum height levels apply (150 centimetres). Bring your own gloves. The Steps cliff (10 metres): This smooth flat rock face is located at The Steps Campground above the beautiful Barrington River near Gloucester New South Wales. The site almost looks like it’s been purpose-built for beginners, young kids or adults afraid of heights. Here you’ll learn about anchoring, safe use of descenders and how not to slip out of your safety harness. Buccan Buccans (The Bucketts Mountains) cliff (22 metres): For the best views in Gloucester! This craggy rock face is situated on the Buccan Buccans overlooking Gloucester and the surrounding scenic valley and ranges. After a short walk up from the base of the range to the cliff you will learn about anchoring, safe use of descenders and how not to slip out of your safety harness. This cliff is suitable for braver kids, teenagers and adults. 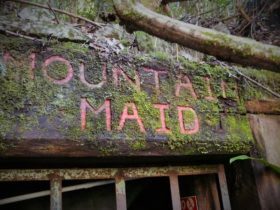 Join like-minded adventurers on this five day midweek guided walking tour in world heritage Barrington Tops wilderness. Discover this beautiful region on trails less travelled and be rewarded with superb landscapes, fascinating habitats, varied wildlife and sensational views! 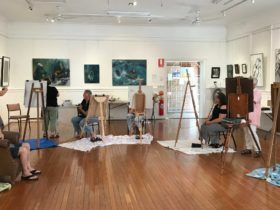 This guided Barrington Tops walking tour includes Gloucester Tops Circuit, Link Trail to Careys Peak, Edwards Swamp, Little Murray, Polblue and finishing with white water kayaking on the Barrington River at The Steps. Join like-minded adventurers on this five day midweek guided paddling tour in the Myall Lakes Ramsar Convention wetlands. 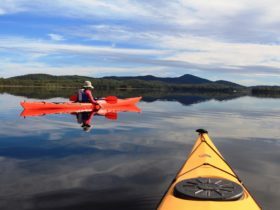 Discover the beautiful Myall Lakes region on our new sea kayaks that make paddling the calm flat waters of the lakes even easier. The park boasts more than 40 kilometres of beaches, forests, rugged escarpments, endless tracks and trails and spectacular Broughton Island. You’ll be rewarded with superb coastal landscapes, fascinating habitats, varied wildlife and sensational views! In snow or in sunshine, Barrington Tops is an exceptional touring experience. To see the best of this world heritage national park you’ll need a full day and this Eco Pass accredited tour has it all, an all-inclusive full day excursion! On this Best of Barrington Tops day tour you can relax and enjoy the spectacular views as you’ll have your own experienced personal guide to drive you along those unfamiliar mountain roads. Your full day adventure visits the magnificent Antarctic Beech forest and tree fern groves at Honeysuckle, famous Thunderbolt’s Lookout, the renowned sphagnum ponds of Polblue wetlands and The Rock. Plus we’ll take you to the less-visited features of The Firs, the Dingo Gate and the delightful Gummi Falls. Tour includes personalised full day interpretive tour, departs 8.00am and returns 5.00pm, air-conditioned 4WD vehicle, lunch, morning tea and afternoon tea, and an experienced driver with a wealth of local knowledge to share. The tour is Eco Pass accredited with NSW National Parks.